Let us create a personalized aroma for you! 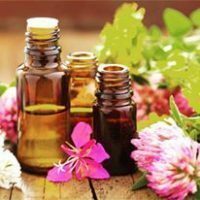 Once the aroma is created we can make bath salts, lotions, body oils or purchase the aroma on its own to use as a personalized perfume or to diffuse in your home. Only all natural ingredients and pure essential oil oils are used. We will work with you to select the oils you enjoy with the therapeutic effects you desire. 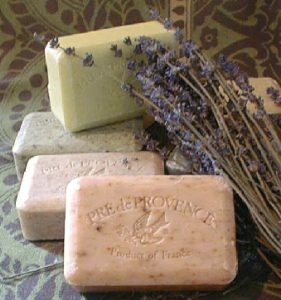 These beautifully scented soaps are created with the finest ingredients by French artisans following traditions established long ago. All natural and enriched with shea butter these quad-milled soaps are smooth and long lasting with a rich later and luxurious feel. Aveda’s mission is, “to care for the world we live in from the products we make to the way in which we give back to society. 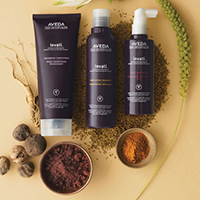 At Aveda, we strive to set an example for environmental leadership and responsibility not just in the world of beauty but around the world.” Transform your hair and skin with these all natural plant infused products designed to nourish and restore. 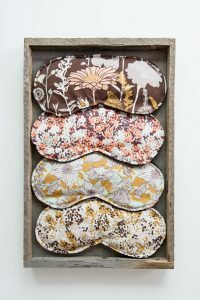 These beautiful plush heatable wraps and eye pillows are handmade in the mountains of North Carolina. Crafted from luxurious materials that are swoon-worthy! These hot/ cold therapy products in chic, designer fabrics feel as good as they look. The kind of plush comfort you want to cuddle up with. Boutique spa wraps, relaxing neck cozies and soothing eye pillows that pamper the body and soothe the soul. 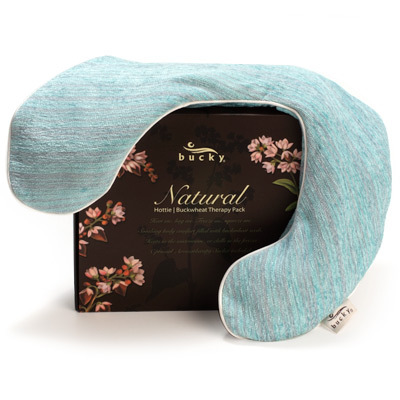 Our choice selection of professional hot and cold therapy packs, eye shades and support pillows made with chemical free buckwheat seed. Experience a luxury spa experience from the comfort of your own home. Launched in 2004 strictly as a passion project, Billion Dollar Brows quickly turned in a mission to save the world from bad brows. 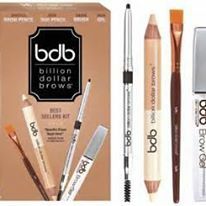 We believe Billion Dollar Brows has garnered fans worldwide because of our pursuit to produce excellent products. We are honored to have had the opportunity to train salon and spa professionals and present countless seminars on the art of brow shaping around the globe. Billion Dollar Brows was featured on The Doctors TV show, E! News, Fox 11 News, as well as in magazines such as Self, Redbook, Vanity Fair, and New Beauty. Today eyebrows are recognized worldwide as the cornerstone of beauty. As the eyebrow industry continues to flourish, we are confident to be at the forefront of this movement as we offer the products and expertise needed to attain beautiful eyebrows in the modern world. We have that our passion resonates and inspires you to get the beautiful eyebrows you deserve. Beautiful brows are a right, not a privilege. Farm fresh ingredients are used to create these exquisite products that bring delight with every use. 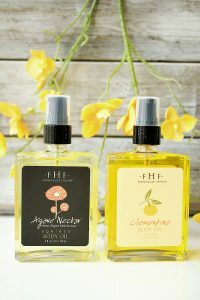 These hand crafted body and face care products are paraben and sulfate free with many vegan and gluten-free options. Each product uses natural ingredients like wild honey, yogurt, clay and pumpkin with many of the ingredients harvested from U.S. farms. All aromas are phthalate free and smell so delicious your senses will be delighted and your skin will be replenished. 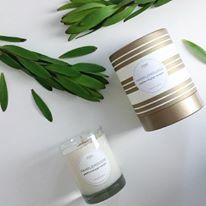 These pure soy candles were created by and for those passionate about memorable scents and the fresh look of the packaging is so beautiful it need not be wrapped. Kobo candles are made of domestically grown sustainable soybeans. This creates the cleanest burning medium and excellent fragrance yield with an eighty hour burn time. Cotton wicks provide a pure clean burning flame. From seed to skin we guarantee the potency and purity of our skin care by controlling every step of the process- from growing and extracting our own ingredients, to formulating our products. Our farm is certified biodynamic*, a farming method which goes beyond organic farming by working in harmony with nature to grow plants that are healthy, potent and pure. Our plants are free from artificial fertilizers, herbicides, pesticides, and we harvest them when they’re naturally at their peak. We create powerful extracts using our Bio-Intrinsic™ method, developed by our co-founder Dr. Jürgen Klein, drawing on the ancient practice of alchemy to preserve the full potency of our ingredients. 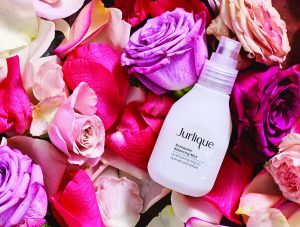 Jurlique is made of pure active ingredients and divine botanical aromas that replenish the skin and renew the spirit. Founded in 1986, Zoya focuses on high-quality products for professional salons and spas. Zoya Nail Polish was the first to create a Big 3 free formula, placing an emphasis on the health and well-being of their clients. Zoya Nail Polish has the hottest shades for all seasons and skin types, they’re also the longest wearing lacquer formulation in the world today! You will be impressed by the durability of Zoya Polish and have peace of mind knowing that you are making a healthy choice by using Zoya’s toluene and formaldehyde free formula. Zoya offers more than 300 fashion forward colors to choose from, plus at least 4 sizzling new collections every year! To see a full Zoya Nail Polish Color Chart! 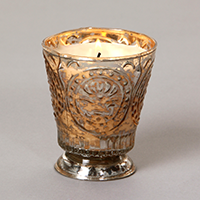 Vintage inspired handmade soy blend candles. Made in small batches with 80% American grown soybean wax and cotton wicks, these candles have a smooth creamy surface and burn evenly. The fragrances are saturated through the layers and drift slowly as they burn filling your home with delightful aromas. Enjoy an Elite Spa Worthy Microfiber Robe, affordable enough for you to keep for your very own. No more parting ways with your favorite robes at spas here and there. You deserve to have the luxury to slip into something beyond comfortable every day. No more settling. Run your fingers over this ultra soft fabric and instantly fall in love as this lightweight robe hugs your skin to gently encase you in safety and comfort. The Sposh Spa Collection is high quality, spa-crafted apparel for your spa lifestyle at home. 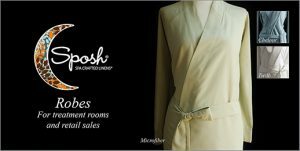 This luxuriously soft microfiber robe is easy to maintain, quick to dry, and practically wrinkle-free. When it comes to Sposh’s Spa Collection, life just feels are little more wonderful.